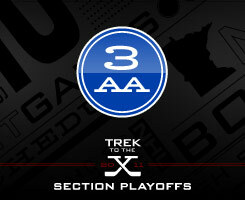 Seedings for Section 3AA were released on Sunday, Feb. 20. Eagan and Apple Valley battled through tough South Suburban conference play but the Wildcats held the head-to-head edge over the Eagles to earn the section's top seed. First-round action gets underway on Tuesday, Feb. 22.